The Moblie Phone Screen Magnifier Stand for Cell Phone is made of high quality plastic. With compact, lightweight & stylish 3 times Magnification, it makes each mobile phone has large screen to enjoy a clear movies though pad or smartphone. Mobile phone adapter use skid material to prevent slip. 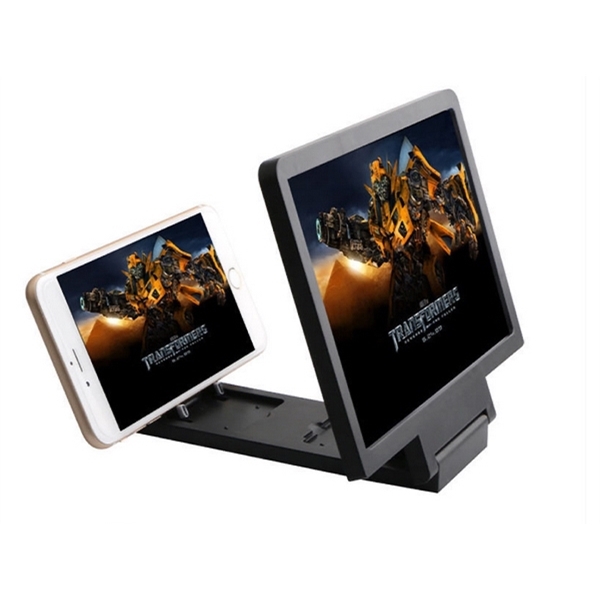 Folding design, small volume, it is very convenient to carry on business travel, so the Phone Screen Magnifier Stand is also a good gift to given on holidays or as promo items with your company logo imprint on.